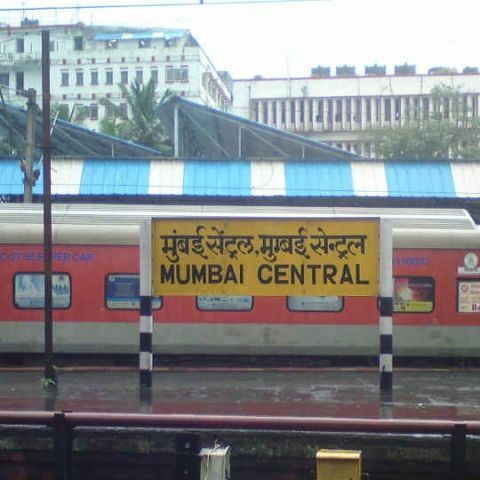 RailTel and Google have launched free high-speed public Wi-Fi services in the Mumbai Central railway station. The project was announced last September during Indian Prime Minister, Narendra Modi’s visit to Google headquarters in Mountain View. The company will be working with the Indian Railways and RailTel to expand the service further and cover 100 of the busiest railway stations in India by the end of 2016. Eventually, the service will be rolled out to 400 railway stations across the country. The next four stations to get high-speed public Wi-Fi services will be Allahabad, Patna, Jaipur, and Ranchi. Railwire Wi-Fi will be available to any user with a working mobile connection on a smartphones. This will allow them to stream videos, research their destination, save videos for offline viewing, and more as they wait. Gulzar Azad, Head of Access Project, Google India said that the company was focussing in developing a network that would be at par with the high-speed public Wi-Fi network available in developed countries. He added that the network is built for wide coverage and high capacity usage. In order to use the service, users would have to first connect to the Railwire network via the device's Wi-Fi settings. They will then have to open railwire.co.in on their device’s browser and enter their phone number in the Wi-Fi login screen. 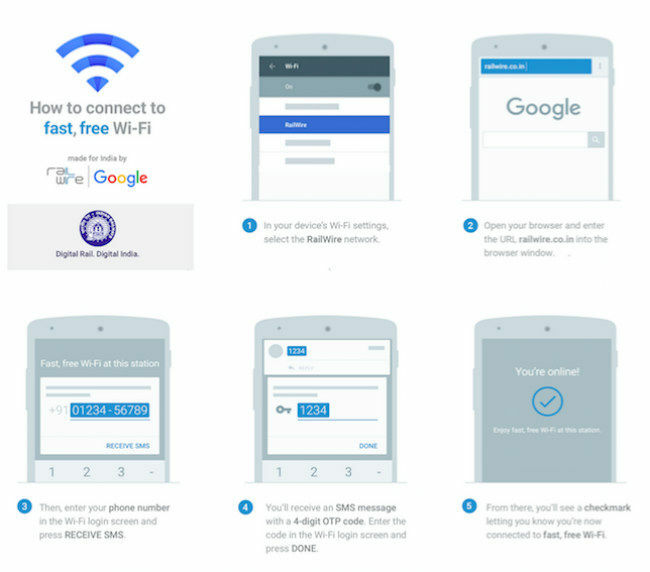 Users will then receive a four digit OTP code via SMS, which they will have to enter in the Wi-Fi login screen. A blue checkmark will appear to let users know that they have connected to Railwire’s network.